Happy Birthday to Althea on their 1st Birthday. 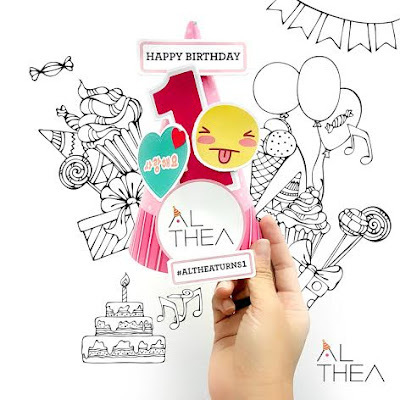 Althea is celebrating its birthday from 20th to 31st July 2016 with lots of free goodies, giveaway and contest too. Althea is my favourite online website to get my skincare, makeup, hair & body at an attractive prices and in good quality too. It is the South East Asia's largest online Korean beauty store with the lowest prices shipped directly from Korea. For all the orders placed on 20 July 2016 onwards, you'll get a Limited Edition Birthday box + DIY Party Kit. Another goodies is, a full size beauty products will be given to the first 1,500 shoppers while stock last. 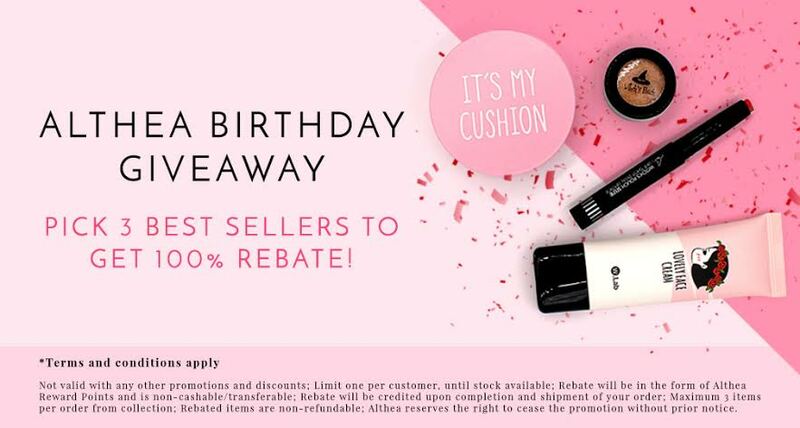 Besides that, Althea will also pick 3 Top Sellers for 100% Rebate in their Birthday Giveaway. The rebate will be credited into your account. There is an Instagram Contest too. Once you had ordered your Althea products, Althea party kit will send to you. Post your photo with the party kit and wish Althea "Happy Birthday" with #altheaturns1 and you stand a chance to win amazing prizes such as Macbook, Ipad Air 2, Iphone 6S, Galaxy S6 Edge, Canon EOS M10 Selfie Camera, Althea credits and beauty hampers from Althea. All the prizes worth KRW10,000,000 to be won. Wow... So many attractive prizes to give-away. Contest starts from 20th July - 15 August 2016. 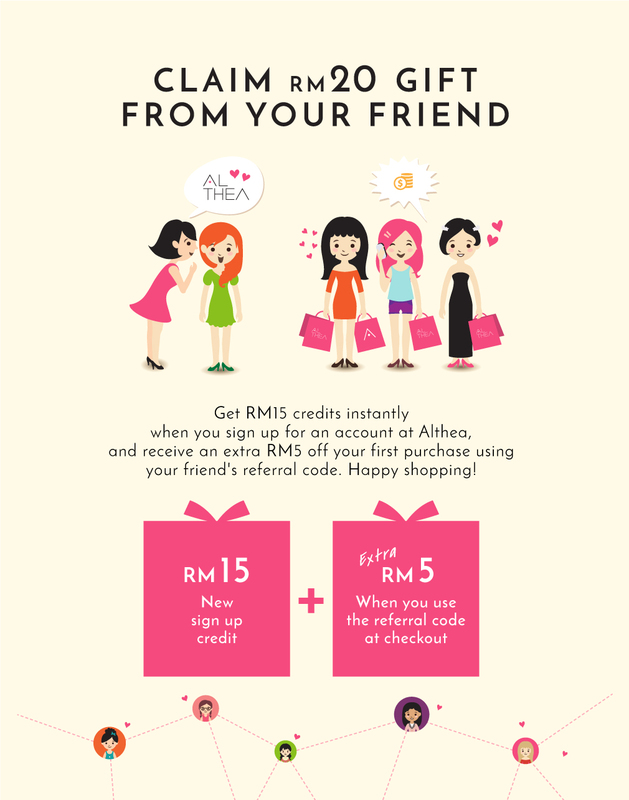 If you haven't sign up at Althea account, sign up now at Althea.com and get RM15 credits instantly and receive an extra RM5 off for your first purchase using my code "ATAMY20-0636-WGHRN-FLQQ"
There are few reasons why I love to shop at Althea. For every purchase of RM150, Althea is offering free shipping from Korea. In case the product in confirm non-authentic, Althea will honour the returns right away and refund 200% of the purchase value. Althea also had best price policy where they had eliminate middle man and pass the savings direct to you. If you're not satisfied with your items, Althea guarantees a 30-day unconditional returns. 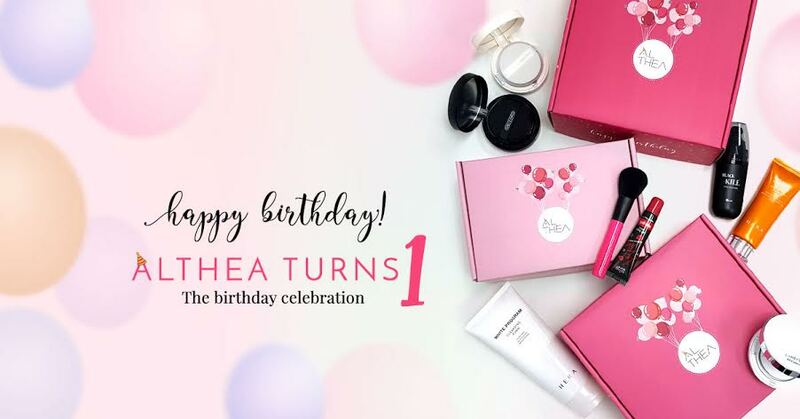 For more information and details, do check out Althea website at http://my.althea.kr/ and facebook at https://www.facebook.com/altheakorea/?fref=ts. There are so much reasons to shop with Althea now. 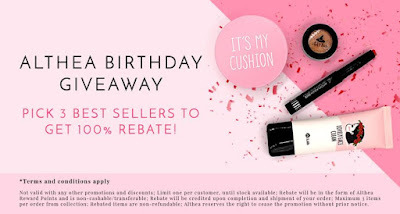 With good quality of products plus free goodies plus free shipping plus free limited edition birthday box + DIY party kit plus birthday giveaways plus best price policy and lots more, Mommy Jane will get more beauty products now from Althea to maintain beauty and young looks forever and ever so that my Little Angels will feel proud when introduce Mommy Jane to their friends later. Althea always offers good prices!! Some even cheaper than the actual price in Korea which is really amazing! Baz, agreed with you. That's the reason why I love to shop at Althea too. Yee Zin, enjoy your shopping there. Happy Birthday Althea!!! I saw a lot of great review from Althea!! Bearhy, hope you enjoy ur shopping at Althea too. Hye Jane, this is Mira from Althea. We would like to thank you for joining in our online Birthday Party. We hope you had fun!